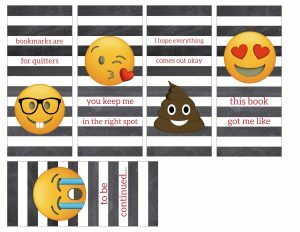 These emoji bookmarks – free printable bookmarks are a fun bookmark for librarians to use at a middle school, grade school or high school. 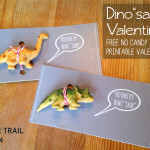 The bookmarks make a great valentine card that won’t get tossed a few days after Valentine’s Day. 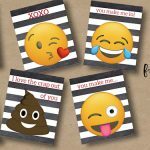 Just punch a hole in the bookmark and add some ribbon like this adorable emoji ribbon on Amazon for the perfect touch. These bookmarks are such a fun and easy DIY project. 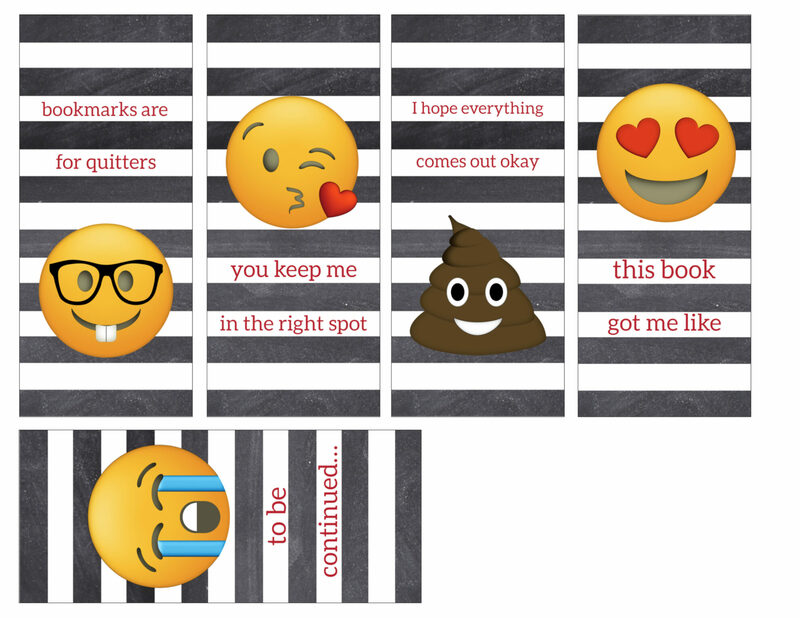 I think the poop emoji bookmark might be my favorite. 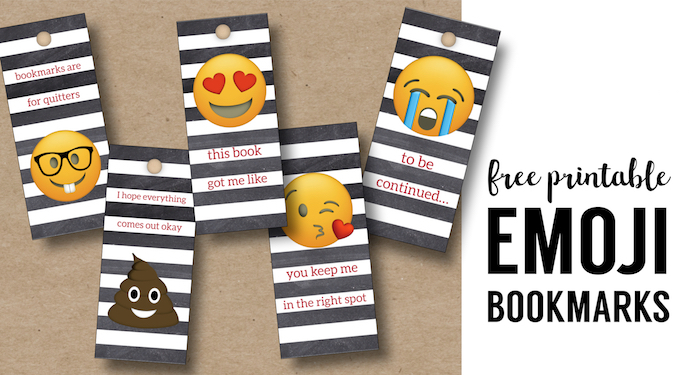 Don’t forget to check out PicMonkey a free trial of their website and you can easily customize these Emoji Bookmarks – Free Printable Bookmarks. If you want a little more guidance then check out our tutorial on how to use picmonkey. Planning a birthday party soon? 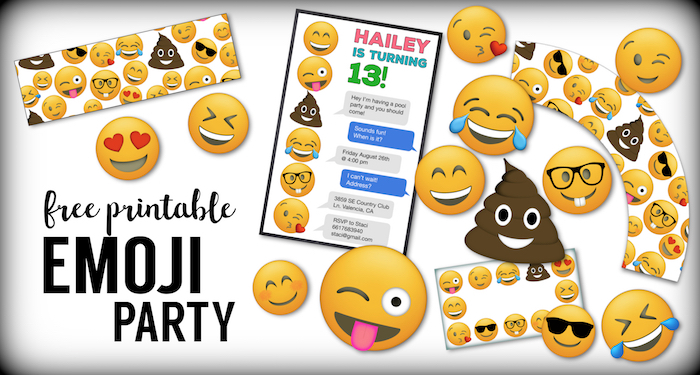 Use our Emoji party free printables.including an emoji banner, invitations, cupcake toppers, water bottle wrappers, and cupcake wrappers.